People who work with their hands to construct, repair, renovate, and remodel our nation’s homes and buildings contribute extraordinarily important skills to society. Unfortunately, in doing so, they also put themselves in harm’s way on a regular basis, more so than workers in nearly any other occupation. Construction workers and roofers are continually at risk of extreme bodily injury, long-term or permanent disability, and even death. The experienced, aggressive personal injury attorneys of Worby Groner Edelman LLP have exceptional skill and a history of success in handling workers’ compensation and other claims on behalf of injured construction workers and roofers. At our law firm in White Plains, victims of construction accidents, falls from roofs, and other accidents resulting from their dangerous occupations can expect outstanding legal counsel and representation from construction accident attorneys who know what it takes to win cases. Falls - People who work on roofs are at constant risk of falling and injuring themselves, even if they follow safety protocols to the letter. In fact, according to a report published by the Center for Construction Research and Training, roughly one-third of all fall-related construction fatalities that occurred between 1992 and 2009 were falls from roofs. That represents 2,163 fatalities altogether. Slip and fall and trip and fall accidents - Construction sites often resemble obstacle courses, with tools, equipment, spills, and slick surfaces posing hazards to workers. Slip and fall and trip and fall accidents - especially when they lead to falls from roofs and other elevated locations - can result in serious injuries, including traumatic brain injuries, neck and spinal injuries, broken bones, paralysis, and death. Fires and explosions - Burn injuries are unfortunately common on construction sites, often due to explosions, fires, malfunctioning electrical equipment, and chemical exposure. Falling objects - Large, heavy objects can cause serious head injuries when they strike workers from any distance, even when those workers are wearing hard hats. Equipment defects - Defective products injure millions of people each year. When those defective products take the form of heavy construction equipment and machinery, the consequences can be deadly. Dangerous equipment and motor vehicle accidents - Accidents involving lift buckets, bulldozers, forklifts, and onsite trucks and vans can cause serious injuries or death. If you or a member of your family has been injured in a construction or roofing accident, or if you have lost a family member to such an accident, you may be entitled to compensation, whether through the workers’ compensation system or through a personal injury lawsuit. 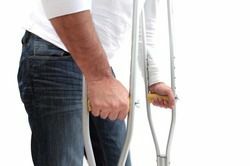 Our personal injury attorneys can evaluate your case and advise you honestly and openly of your legal rights and options. To learn more about litigation arising from construction accidents and falls from roofs, we invite you to contact the personal injury law firm of Worby Groner Edelman LLP today. We would be pleased to evaluate your case.